The Library has now purchased International Encyclopedia of Ethics in its electronic form. Each entry is hyperlinked to other entries and to electronic editions of the renowned Blackwell Companions and Guides. Comprises over 700 entries, ranging from 1,000 to 10,000 words in length, written by an international cast of subject experts. Is arranged across 9 fully cross-referenced volumes including a comprehensive index. 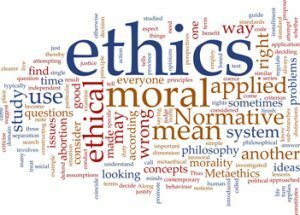 Provides clear definitions and explanations of all areas of ethics including the topics, movements, arguments, and key figures in normative ethics, metaethics, and practical ethics. Covers the major philosophical, legal and religious traditions. Offers an unprecedented level of authority, accuracy and balance with all entries being blind peer-reviewed. This entry was posted in Exhibition and tagged encyclopedia, ethics, lafollette, online by adonnelly. Bookmark the permalink.